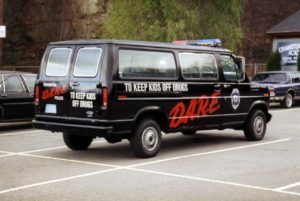 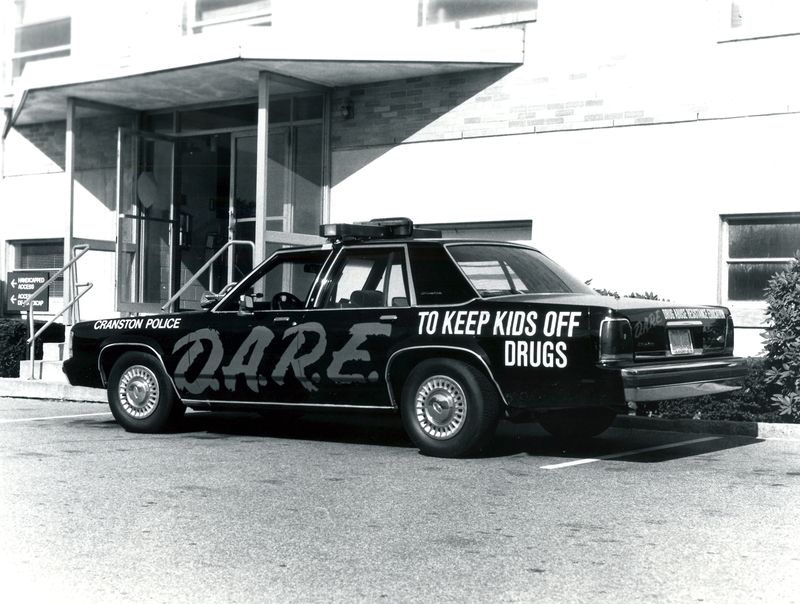 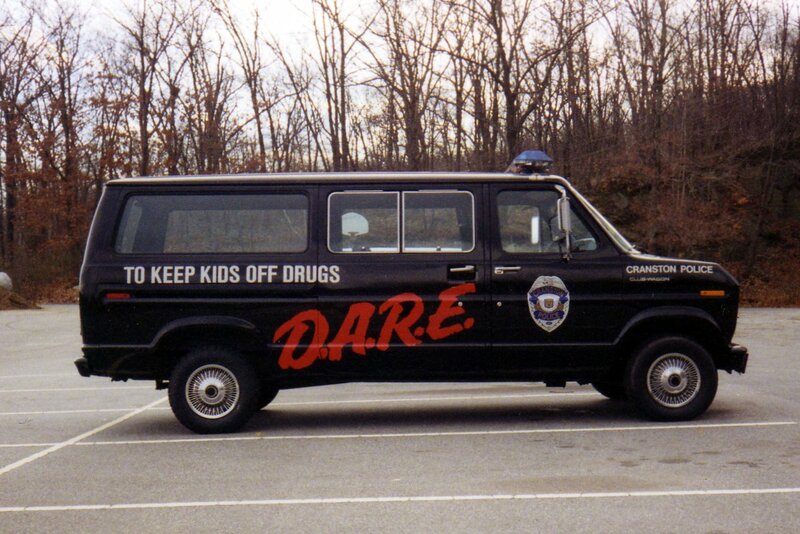 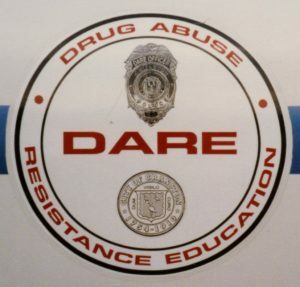 First D.A.R.E. Car at old city garage. 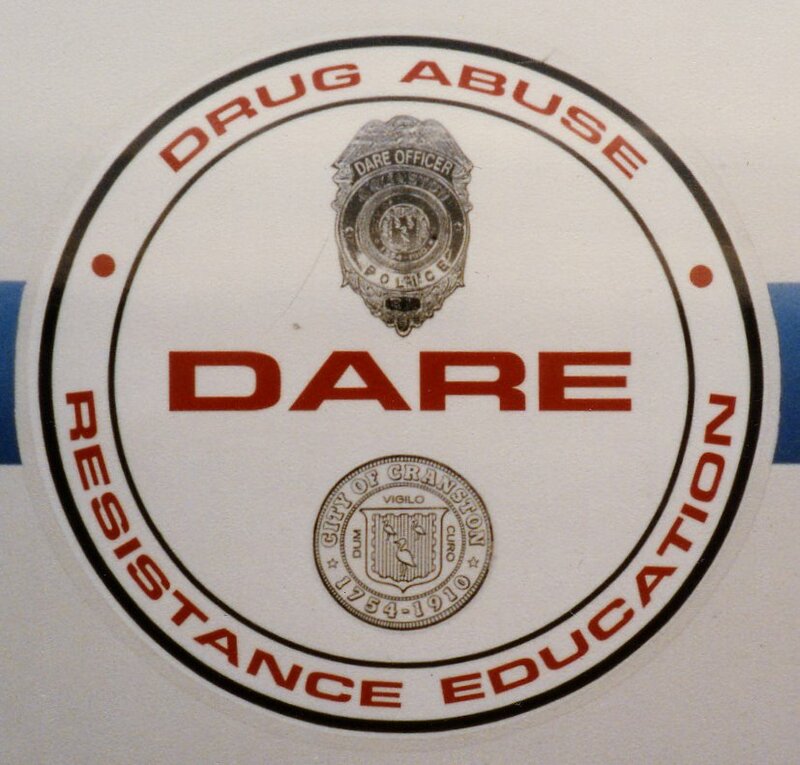 Custom emblem on D.A.R.E. vehicle. 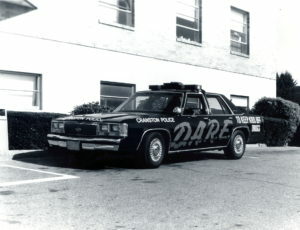 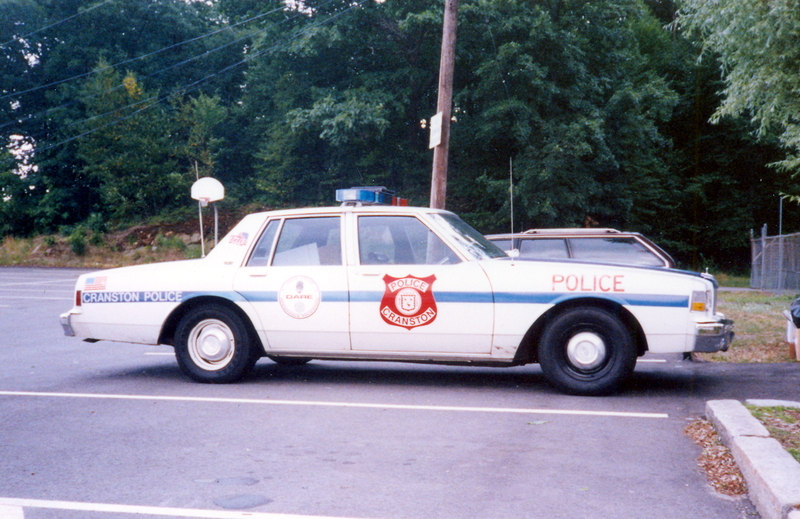 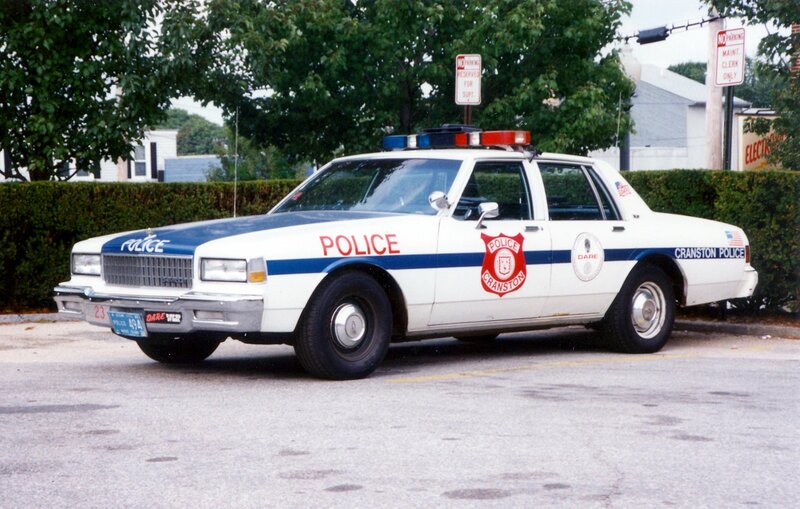 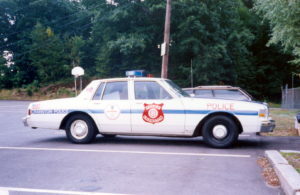 1990 Ford in front of old police station at 275 Atwood Avenue. 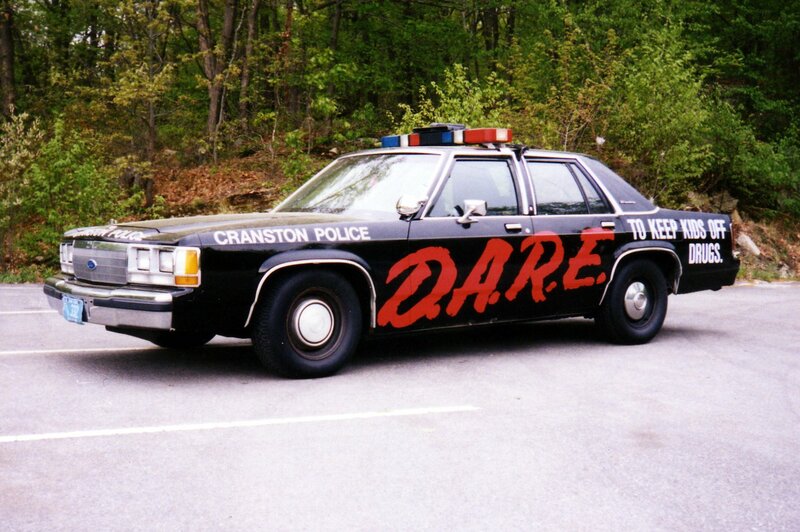 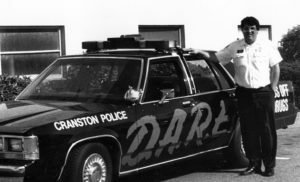 Officer Tom Fazio, Cranston’s first D.A.R.E. officer.